In honor of today being Star Wars Day, I decided that it would be the perfect day to share a little sewing project I did awhile back with you. We’ve all had them. Those t-shirts that you love the design of but they’ve shrunk or you grew or your five-year-old got a hold of the permanent markers or… well, you know what I mean. For some reason that shirt is now unwearable, but you still love that part of it that made you get it in the first place. 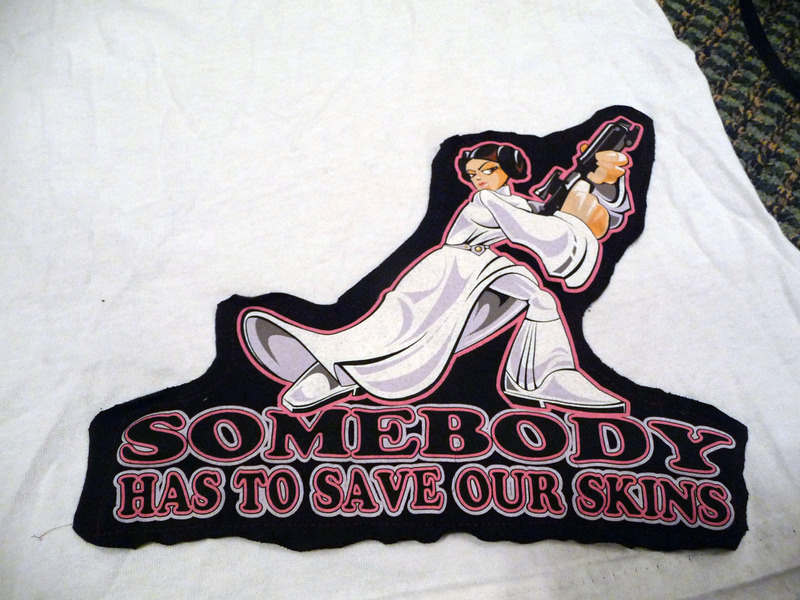 Such was the case with my Princess Leia shirt. It was one of those unfortunate shirts that the more times you washed it the shorter it shrunk. Some folks may go for the tummy bearing look, but it really doesn’t fit with my day to day attire yet I resisted parting with that manga look and tough girl attitude. 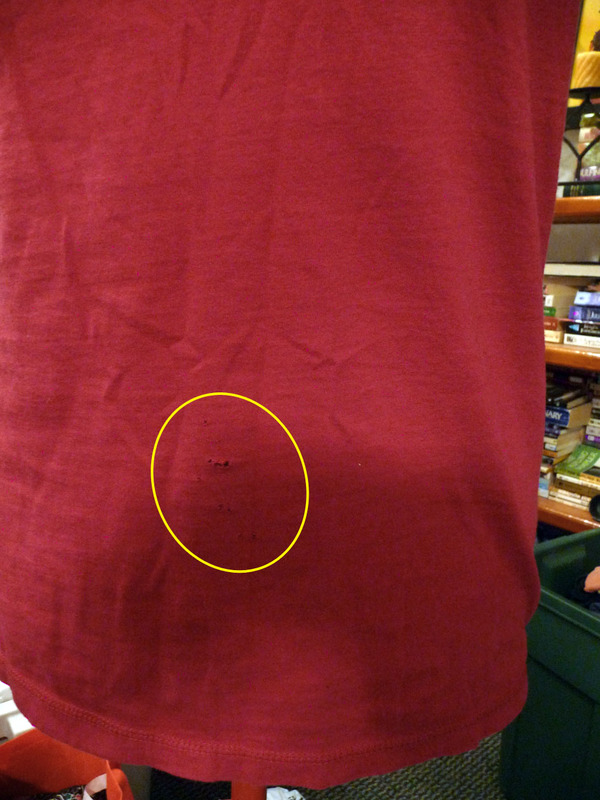 Also in my wardrobe lived another shirt I acquired thrift shopping that fit well, but had been attacked by a small hole causing apparatus of some sort. Both shirts had sat ignored and gathering dust in my bedroom when one day I realized that I had not one single Star Wars shirt in my possession that fit. Being a lifelong fan this was an appalling sort of realization. Before despair at this state could sink in an idea struck – why not combine the two for a new, even more fabulous shirt? 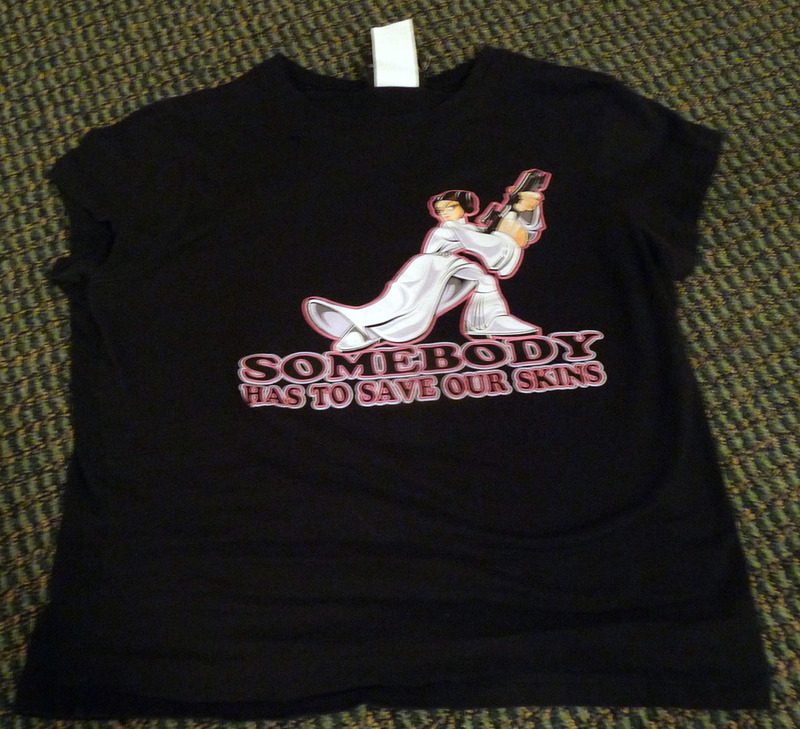 At first I thought that I would just cut out the Leia image and apply it directly to cover the holes in the magenta shirt. Once I looked at it, though, it just seemed like it was missing something. Thankfully, if there’s one thing I am not lacking in my apartment it is loose bits of fabric so I found some white jersey to add some more contrast. 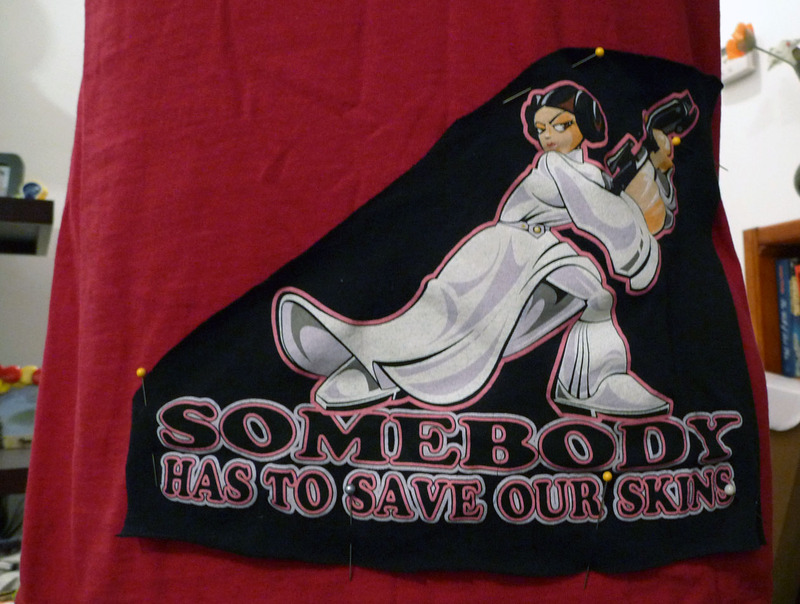 After all, Leia should pop. With the multi-layers decided, I chose some complementary thread and wallah! 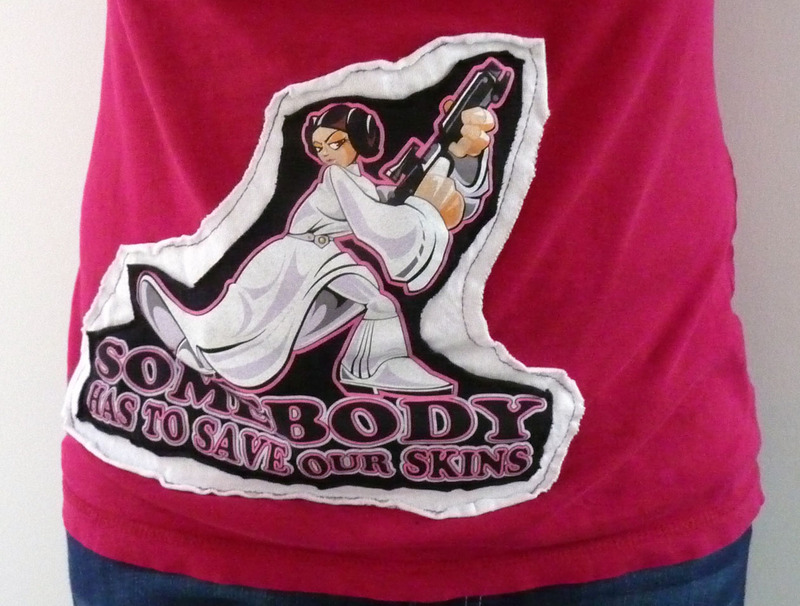 a new Star Wars shirt was born. As long as I was modifying I also chose to change it from a crew neck to a v-neck, which is much more my style, and carried the raw edge through.